So you’ve got the basics of marketing your chiropractic practice down. You’ve created your social media accounts, you’ve built a strong website, and have started participating in community events. In order to continue to grow your brand, you’ve decided to start a blog. Here are our tips and best practices. 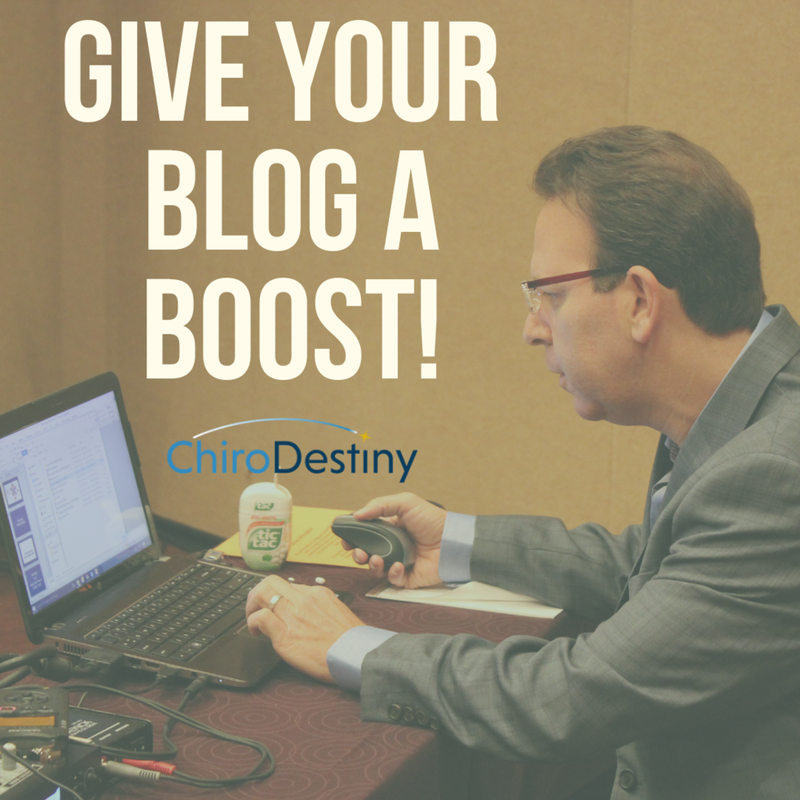 Blogging is an excellent way to connect with existing patients and gain respect within the chiropractic community. One way to do this is to write about what you know. This might seem obvious, but you have a wealth of information to share, so don’t sell yourself short. You most likely will have plenty of tips to cover discussing back pain, chiropractic adjustments, and the benefits of chiropractic care. But why not dig deeper? For example, maybe one of your patients asked you for a pillow recommendation and you happen to have some for sale in your practice. Write a blog about why you recommend that pillow, how it can help your patients, and offer a discounted rate for that month. This will educate your patients while still driving business. Keep an open mind during your appointments. You answer a lot of questions, and there are plenty of others who would like to hear the answer from the comfort of their home! Blogging isn’t just about educating others. It’s also an excellent opportunity to learn, too. Check out other chiropractic blogs and podcasts (attending our seminars doesn’t hurt, either) to stay informed about what is happening in the chiropractic world. You will take home valuable lessons that you can apply in your practice and create content for your new blog. Eventually, you may want to partner with other chiropractic bloggers as a guest or by participating in a podcast. You don’t have to be an award-winning author to create a blog. You have the knowledge and expertise and your current and potential patients want to learn more. All you’ve got to do is take the time to put together your thoughts and write about them. Share information that is important to you and your patients. Educate them, give advice, and offer solutions to common problems. The important thing is to get started, because the more you get into the habit of contributing to your blog, the easier it will become! Do you have questions about blogging best practices? Contact us to take action and schedule a free coaching call! Older PostIs It Time To Fire An Employee?